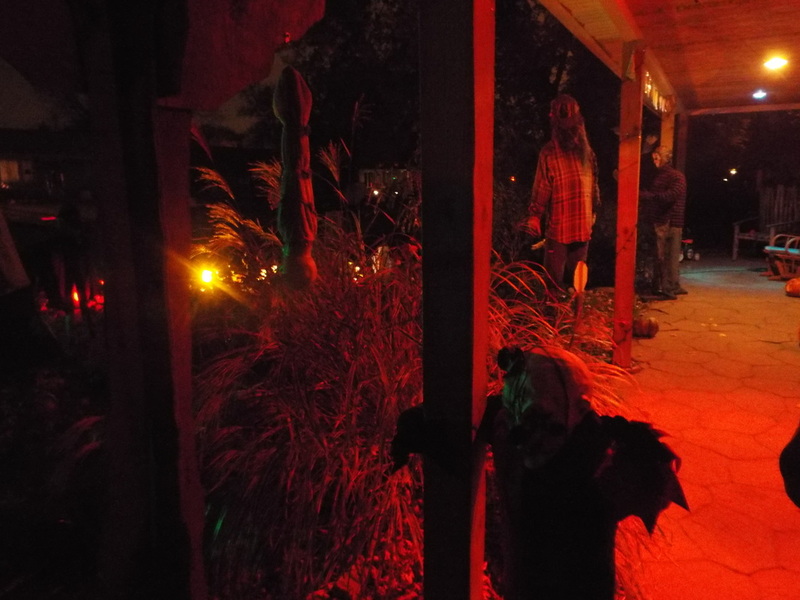 If you are a fan of horror movie icons, then Frightmare on Forestview is an excellent little yard display/home haunt for you. 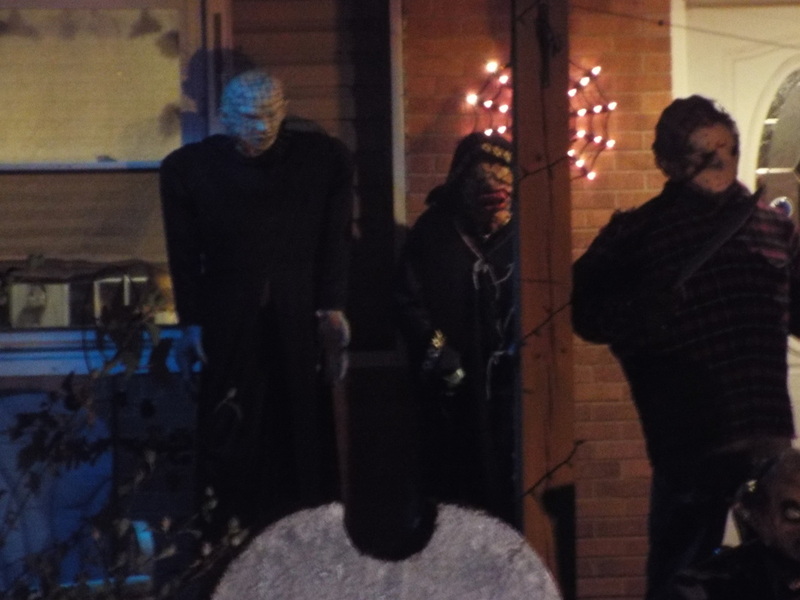 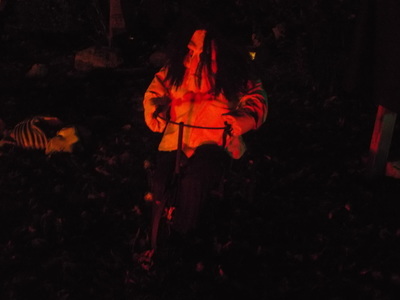 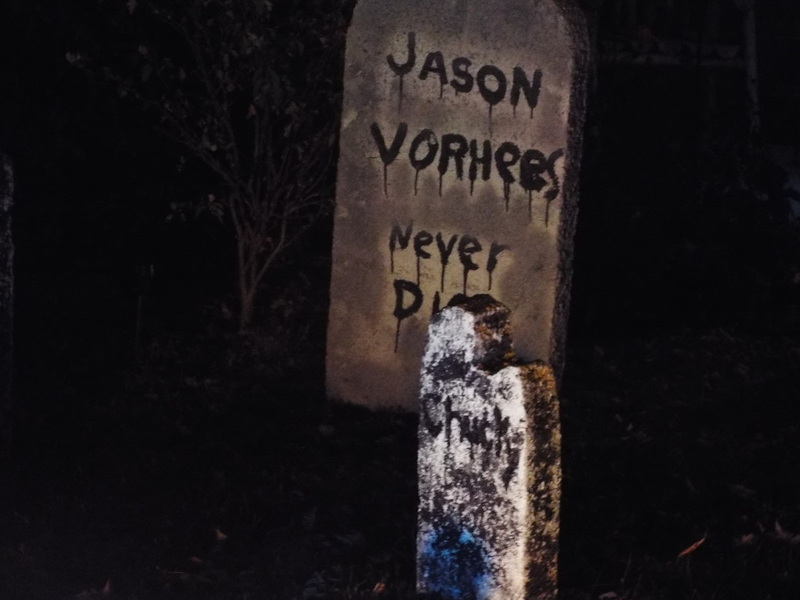 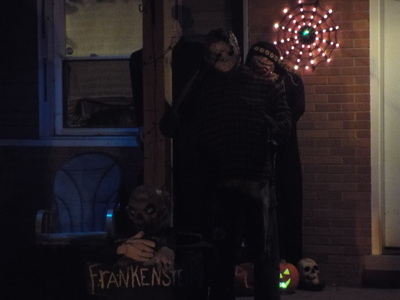 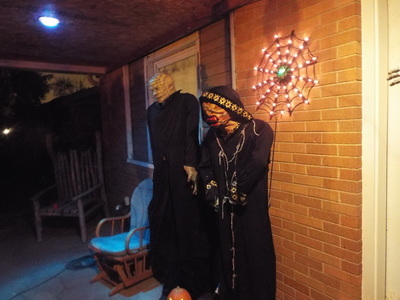 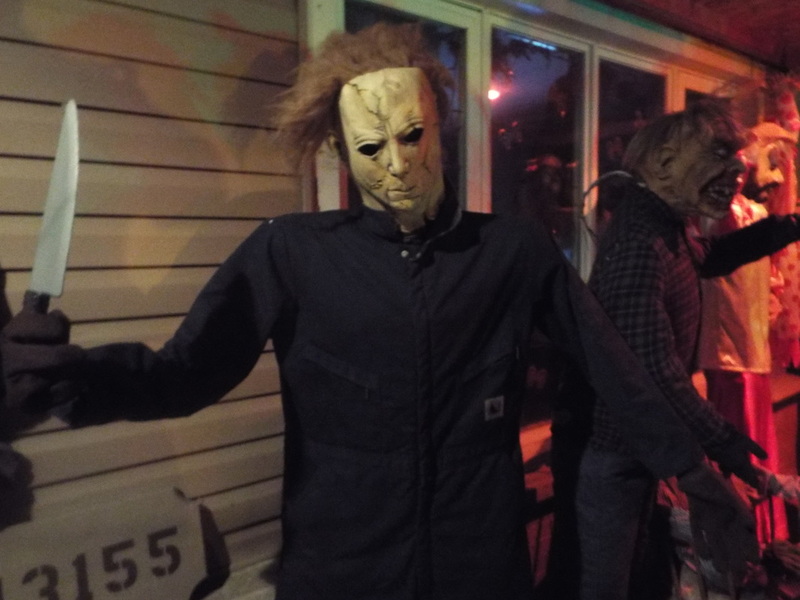 Located in Crestwood, Frightmare on Forestview consists of a front yard filled with numerous horror movie icons and a driveway/backyard that contains a creative multi-room haunt featuring various scenes and live actors. 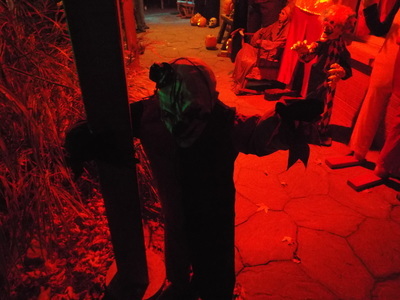 Even without the home haunt, there is still some good stuff to see here. 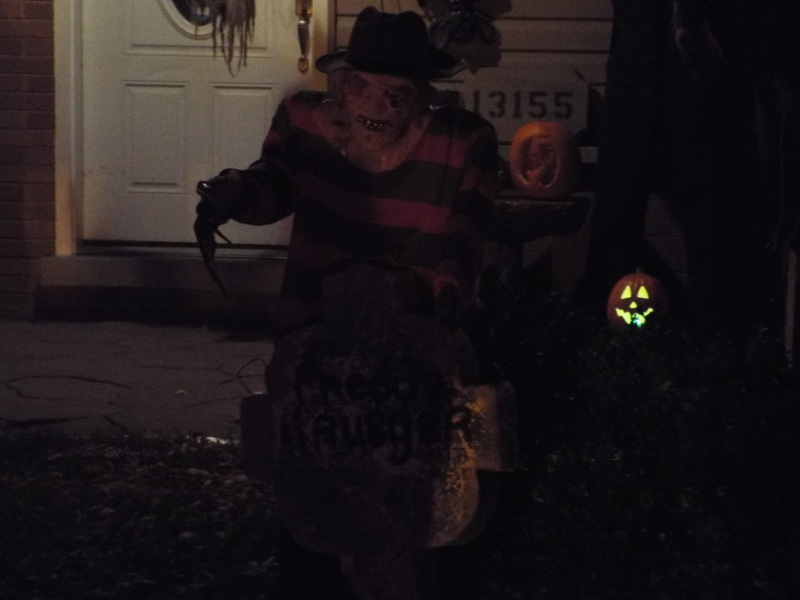 In the front yard one can find a virtual who's who of horror movie characters, such as Samara emerging from her well and Freddy Krueger lurking on the front lawn, as well as a walkthrough lineup of life size figures on the porch. 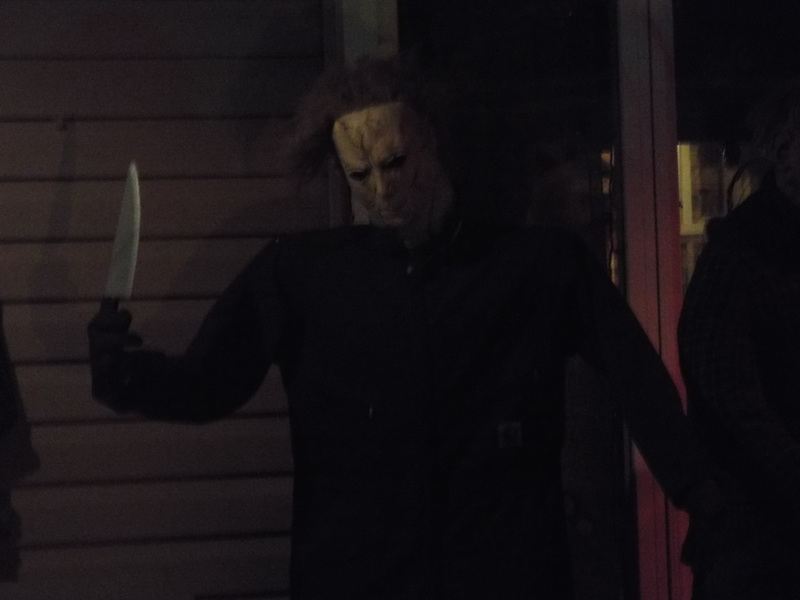 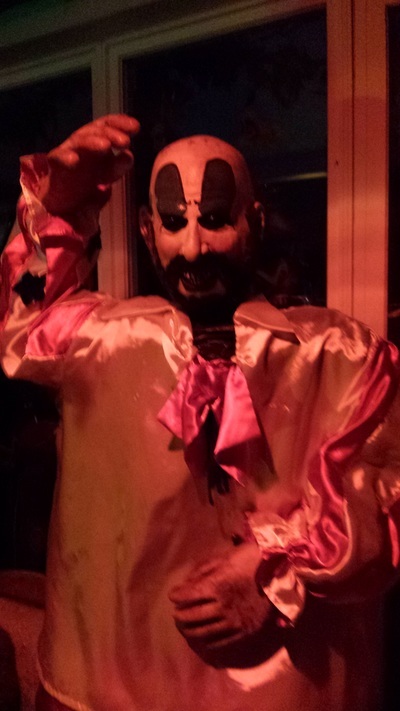 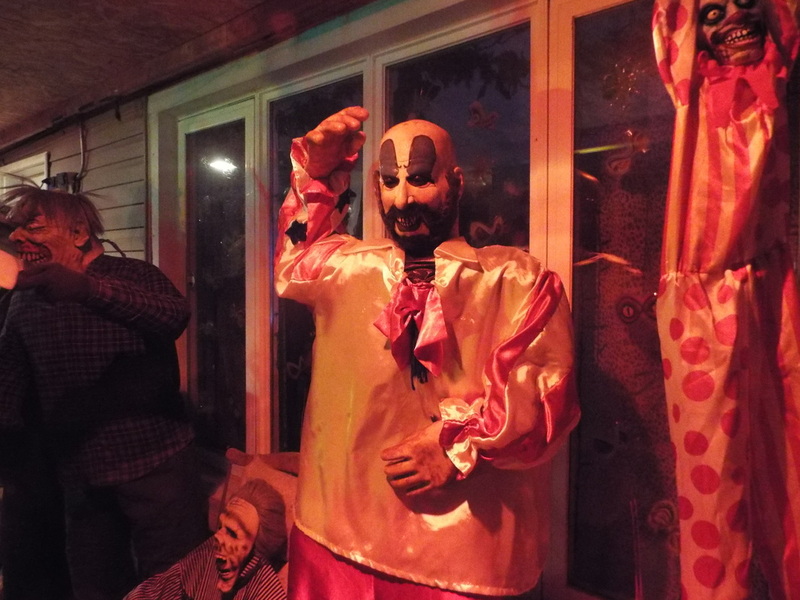 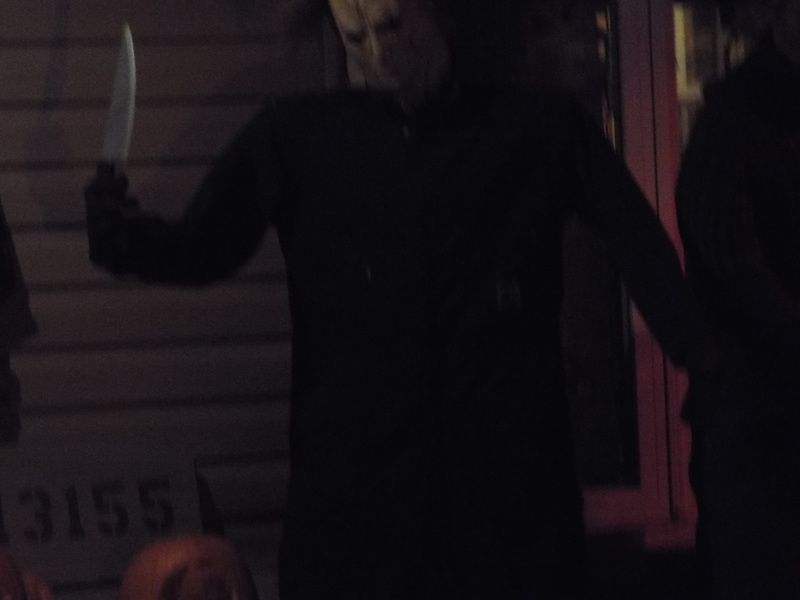 Amongst the characters on the porch are heavy hitters like Jason Voorhees and Michael Myers, as well as some lesser used but still memorable characters like the Creeper from Jeepers Creepers, "Mother" from Psycho, and even Captain Spaulding from House of 1,000 Corpses. 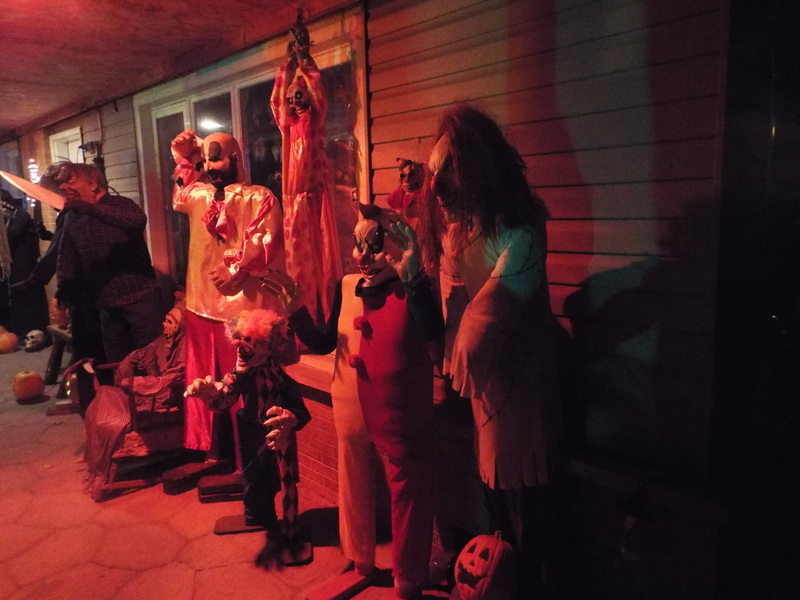 It's worth a close look just to see if you can spot and identify all of the different characters. 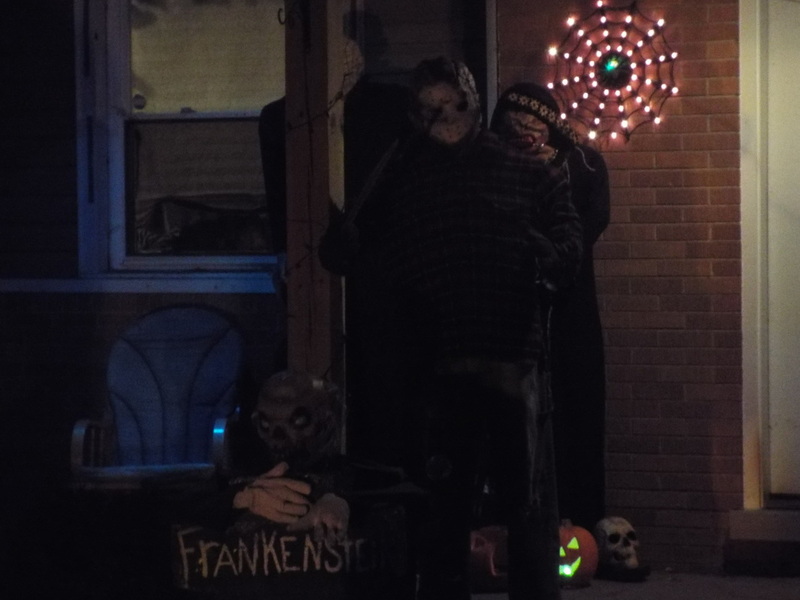 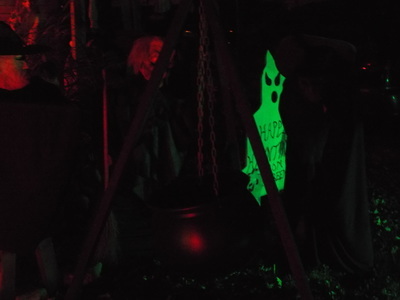 Additionally, the front yard features some standard yard display themes, such as creepy clowns, witches, skeletons, and tombstones. 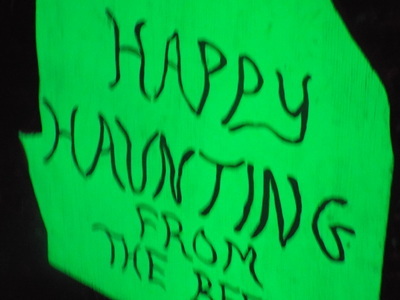 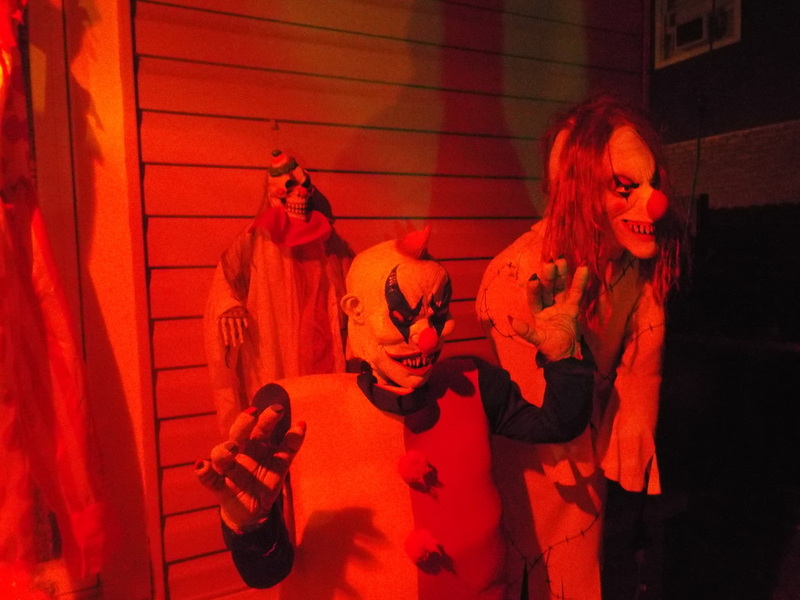 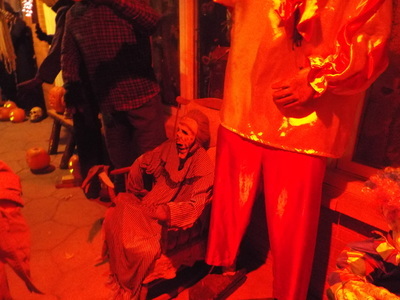 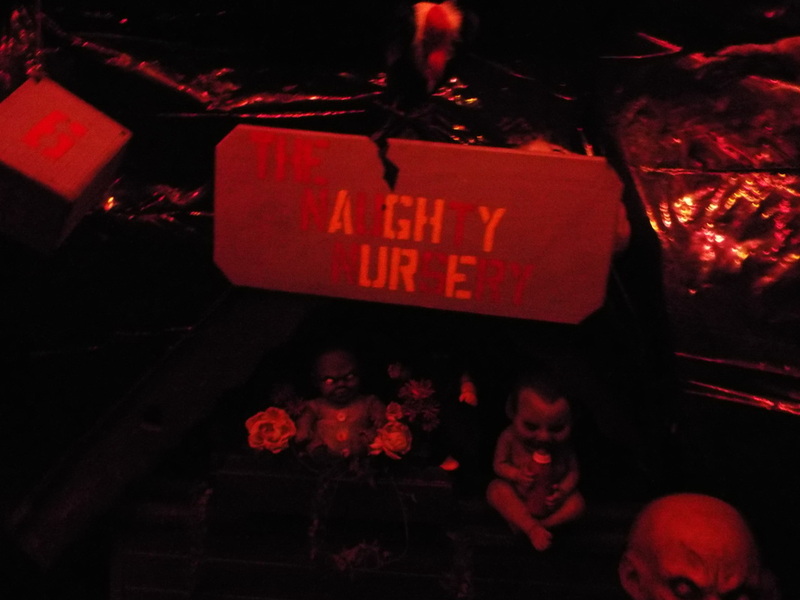 Along the side of the house is the home haunt - it consists of several rooms populated with animated characters, pop out scares, and even live actors. 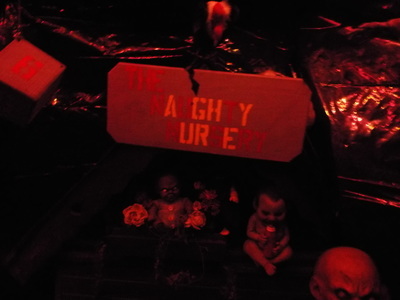 One excellent room is an Exorcist themed scene with a spinning head Regan on the bed, complete with voices from The Exorcist playing as visitors pass by. 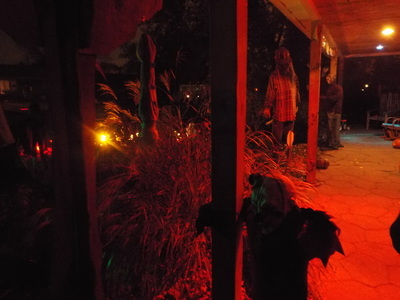 Depending on the setup, Regan can sometimes be found on the ceiling, staring down at visitors. She is definitely a creepy sight, especially if people aren't expecting her. The bottom line - Frightmare on Forestview is a fun little display and one worth looking into if one enjoys classic horror characters.